The Bicycle Coalition of Greater Philadelphia has been monitoring e-scooter rollouts and usage in cities around the country in preparation for Philadelphia’s own potential e-scooter revolution. After an On The Table Philly conversation with some concerned citizens in November 2018, we have outlined several of the minimum requirements we’d like to see e-scooter companies adhere to if, and when, e-scooter sharing becomes a thing in Philadelphia. These requirements are based on what companies are already required to do in cities across the country, what the Bicycle Coalition believes should be done, and what those who came to our On The Table Philly discussion talked about. Private e-scooter companies have an incentive for better, safer streets in the cities in which they operate. E-scooters have taken a proactive approach to helping cities fund infrastructure, and we believe future e-scooter companies in Philadelphia should do the same. The Bicycle Coalition believes in fair, equitable transportation for all. That’s why we also believe e-scooter companies should make sure their vehicles are available to every Philadelphian. Adaptive vehicles for the disabled. App should discourage riders from riding on the sidewalk and encourage them to park in designated or otherwise appropriate “furniture zones” specifically for scooters. App should encourage use of scooters in bike lanes and sidepaths. 24-hour hotline to report vehicles cluttering the right-of-way. As part of our commitment to equity, it’s important e-scooter companies provide an option for those riders without smart phones and/or credit cards. Companies should include a non smartphone option. Scooter companies should properly train contractors to safely transport, re-charge, and re-balance the scooters. 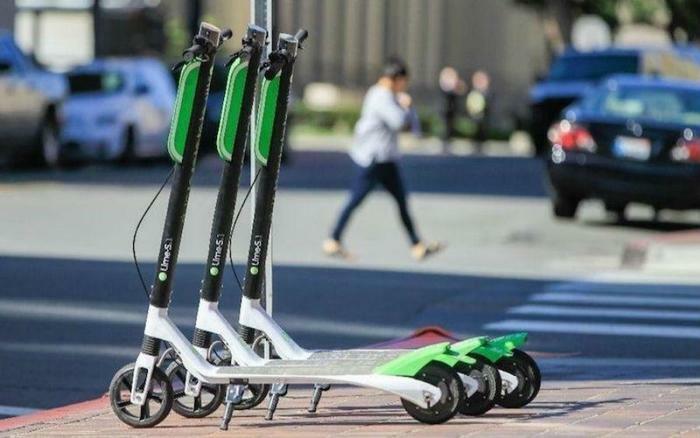 Require placement of scooters near transit stops. *A previous version of this blog did not make clear that the ideas presented here are a mix of ideas from the Bicycle Coalition, other cities’ current implementations, people who came to our On The Table Philly meet-up, and the scooter companies themselves, not just the Bicycle Coalition of Greater Philadelphia.